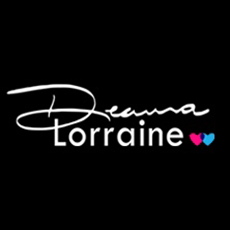 Dating, attraction, and relationship expert DeAnna Lorraine offers her coaching program to help men develop their relationship, approaching, and attracting skills. - Maximizing your Physical appearance, Personal Style, & Image. - Enhancing your Personality & Sense of Humor, and all-over Attractiveness. Fill out and submit “Dating Needs Assessment” on DeAnna Lorraine's website for complimentary 30-minute dating strategy session over the phone. You will be contacted to schedule your session to learn more about your situation and goals, and the best option for achieving them. "Do not use DeAnna Lorraine!" Would not recommend DeAnna Lorraine as a dating coach. Felt like I was scammed... and won't return my calls or e-mails after paying. Do yourself a favor and go with someone else! Although it failed to get me the girl I wanted, DeAnna does a decent and satisfying coaching job... that is, when she bothers giving you her attention. She would not follow up and get back to me in a reliable way, I could consider myself lucky when I got a reply from her. Similar to what a previous reviewer mentioned, once I felt that she was "done" with me, she just started ignoring me without any warning or explanation, despite her contractual assurance that she would be there to provide me "lots of support"... Throughout the span of our interaction, she showed very unprofessional behavior. Incredible person to speak to and to receive passionate, sincere, direct and serious relationship skills that will change your life. I had trouble in certain aspects of my relationship that she helped me narrow down and discover what abilities I have to make lasting changes. Her personal (rather than professional) approach to connecting with people makes her sessions easy to take in. Truly an amazing coach. Such a refreshing experience each time I meet with her. She did a GREAT job of making me feel like she could help “we are a team” “I love to win” said she would be there to give lots of support and encouraged me to reach out with questions etc. well after paying her close to 700 and following her directions I soon after felt like I was an inconvenience, she slowly stopped returning my calls or answering messages. eventually she scheduled a call with me... two months later I’m still waiting on it, maybe she misspelled “tomorrow” and meant “next year” in all seriousness though, she’s got a great personality and had Some good ideas but the lack of follow through and support coupled with excuse after excuse was very disappointing. I literally feel like she ran off with my money.